Historic building from the 900 in the old convent of Josephite recently renovated, have been carried out tastefully furnished rooms with all the comforts. 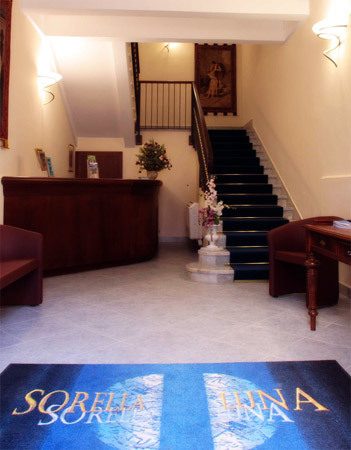 Our brand new building is located in a strategic position of the city, just 100 meters from the train station, 5 minutes from the island of Ortigia and the shopping center, 10 minutes from the Archaeological Park and the Tourist Port. All rooms have air conditioning, satellite TV, direct dial telephone, free wireless internet, solarium, safe, minibar, hairdryer, and complimentary toiletries. All in a climate of acceptance and availability to make our guests' stay a moment to remember as a pleasant experience in the magical Siracusa.